The Lagos state government has disclosed plans to increase power generation in the state. 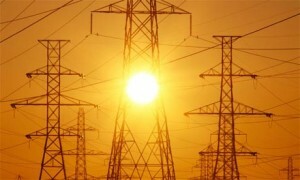 The state government announced that the state aims to meet a target of 150 MW by 2015. According to figures from the State Electricity Board, Lagos currently produces 12.5 MW of power from it’s Akure plant to supply electricity to the Lagos Water Corporation, while 10MW generated at the Island Power Plant supply electricity to the General Hospital, Lagos Island, Island Maternity Hospital, the courts on Igbosere Road, as well as other public facilities such as streetlights on the Island. The state started five independent power generation projects, following the Nigerian Electricity Regulatory Commission regulations which enable, communities and local governments to generate and distribute electricity within their areas. The Alausa Power Project is projected to deliver 11.6MW; the Matori Power Project, 30MW; Shomolu Power Project, 10MW; Akute Power Plant, 12.5MW; and the Island Power Plant is currently undergoing expansion to meet a capacity of 100MW.